Do you remember Something beginning with A… Called Atlantis? A specialist carry system circa 1982 sold by Rohan. 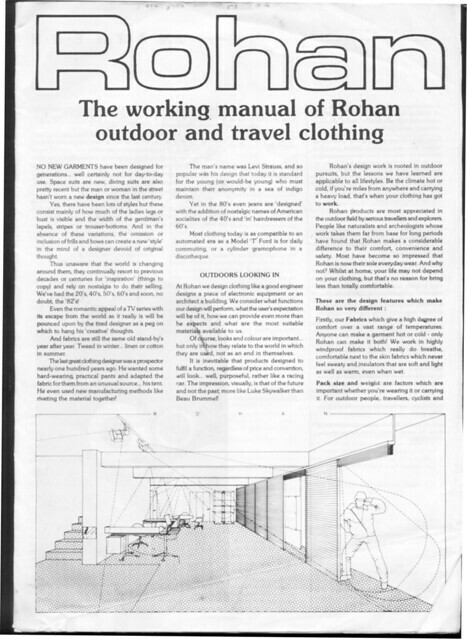 Credited to Dr Theo Eberhard West Germany from… The Working Manual of Rohan Outdoor and Travel Clothing 1982. It did the tour on the Regional Shows and I do remember it being on display in Rohan Long Preston after that it’s a mystery! Do You Remember – Rohan Regional Shows?